Preheat oven to 230° C (450° F) on the grill setting. Zest and juice washed lemon. 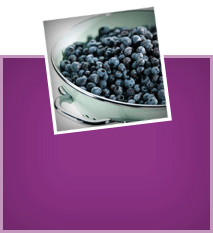 In a small pot, combine apple juice, wild blueberries and half of the lemon zest and simmer at medium heat for around 5 minutes. Transfer the mixture to a shallow dish and cool. In the meantime, heat 3 tbsp of oil in a pan. Fry slices of bread in the pan for 2-3 minutes on both sides. Remove from pan and set on paper towels. In a small pot, combine honey, vinegar, lemon juice and remaining lemon zest and reduce at medium heat for around 2 minutes. Wash and dice tomatoes and blend with the honey-vinegar mixture. Season with salt and pepper. Arrange sliced bread on baking sheet lined with parchment paper. Top bread with marinated tomatoes and mozzarella. Grill for 3-4 minutes. Wash and dry basil. Arrange crostini on a platter. 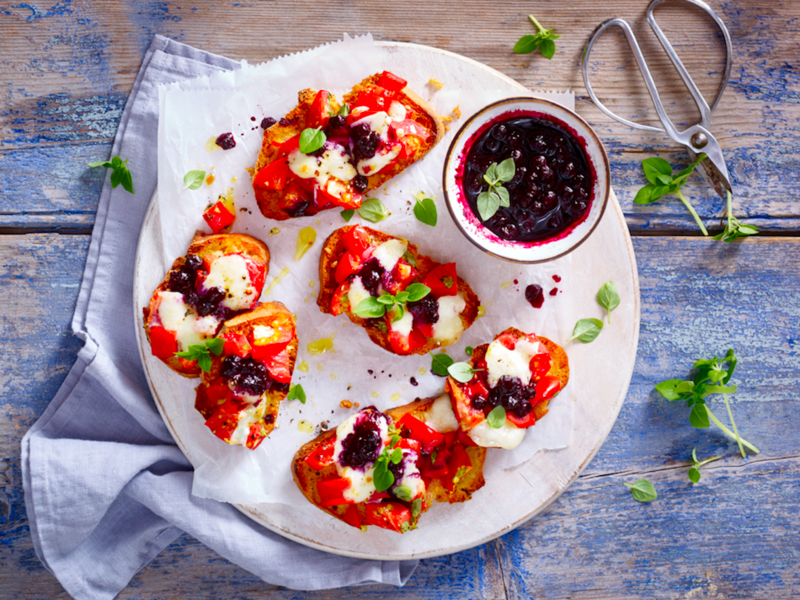 Sprinkle wild blueberries on baked crostini and garnish with basil. 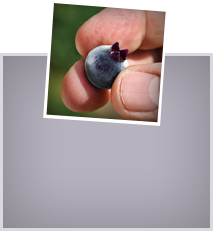 Serve with remaining wild blueberries.